Having finished our armchair travels about Italy I decided that we would retrace our steps back to southern Europe and look at Portugal. 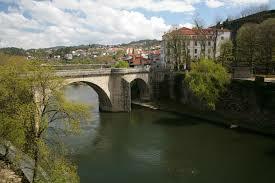 On the banks of the Tamega River you’ll find the charming small town of Amarante. You can cross the Tamega River using the San Goncalo Bridge built in 1790 and it will take you to the Sao Goncalo Convent. This convent was named after the local patron saint, who was the protector of marriages. 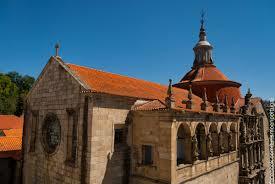 Building of the convent began in 1540 and was completed in 1620. It has an elaborate Renaissance portal and is topped by a read cupola. Next to the church’s photogenic, multi-tiered, Italian Renaissance side portal is an arcaded gallery with statues from the 17th century of Dom Joao, Sebastiao, Herique and Felipe I the kings, who ruled during the time the monastery was under construction. In the 18th century a bell tower was added. Inside are a fascinating gilded Baroque altar and pulpits, an organ casing that is held up by fish-tailed giants and the tomb of Goncalo, located in a tiny chapel to the left of the altar. . Tradition says that those who are looking for a mate will get their wish granted in one year if they touch the statue on the tomb. The Amadeo de Souza-Cardoso Museum of contemporary art is housed in one of the cloisters. Here you can see an eclectic collection that includes sketches and paintings by Cubist artist Souza-Cardoso, who was born in Amarante. The granite Ponte de Sao Goncalo Bridge is a symbol of the town’s heroic defense against the French. This event is noted on a plaque found at the southeastern end of the bridge. 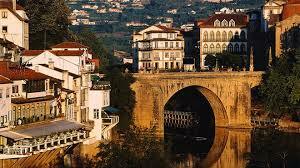 The bridge is looked upon as the visual centerpiece of Amarante. The original bridge was built in the 13th century but collapsed during a flood in 1763 and the one found here now was constructed in 1790. Take a wonderful stroll by the river along the cobbled path found along the north bank. A perfect spot for picnicking or just relaxing can be found on a rocky outcrop that overlooks the rapids 400m east of the bridge. 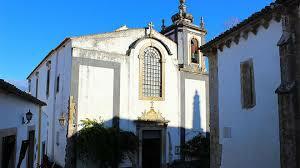 Another impressive church built in the 18th century is Sao Pedro Church. This church has a Baroque facade that is decorated with statues of Saint Peter and Saint Paul. In the interior the nave is decorated with blue and yellow tiles from the 17th century and there’s a chestnut wood ceiling that has intricate carving in the sacristy. Do some exploring in the Old Town where you can see lovely 16th and 18th century houses. Many of these houses are surrounded by wooden balconies. You can relax at some of the cafes and restaurants many of which have views of the river. If you like you can rent a boat and enjoy some rowing on the river.